Forward-thinking businesses are implementing the Internet of Things (IoT) in their businesses right now, and reap the rewards of advanced incredibly efficient technology solutions that can turn data in valuable services and actionable. Being an associate member of the Intel IoT Solutions Alliance GIGABYTE is at the heart of the booming Internet of Things computing market. We create reference designs for Intel’s new platforms, and develop them further into a large range of professional IoT products and customer-optimized solutions. The GIGABYTE EL-20 series is one of those products, developed as the reference design for Intel’s Bear Ridge platform. It is a small form factor (SFF) industrial computer with leading performance and security, robust build quality and the Input/output (I/O) flexibility required of the perfect IoT gateway solution. Business deploying the EL-20 series IoT gateways can quickly establish and future-proof their environments. By using it as a solution to bridge unconnected legacy system, aggregate data output or establish secure data flow between edge devices and the cloud. Based on the Airmont microarchitecture and Intel's leading tri-gate 14nm process, this System on a Chip dual-core processor is designed to drive both computing and graphics performance in scenarios that are particularly sensitive to cost and energy consumption. With a maximum power envelope of just 6W, this processor is an ideal solution to drive processing and graphics performance in industrial computing environments. Equipped with an Intel AC3160 module, the EL-20-3700-32GB offers 802.11ac dual-band 1x1 Wi-Fi connectivity providing speeds of up to 433 Mb/s. 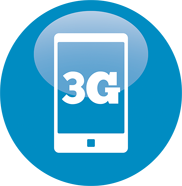 It also supports 3G wireless connectivity bringing an expanded range of mobile communications options to the user.